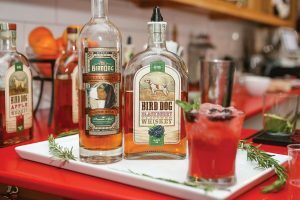 Providence’s Sin bakery, coffee and dessert bar hosted a tasting showcase of the Bird Dog Whiskey and Calumet Bourbon lines on March 3. 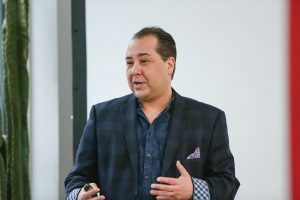 Peter Choy, Regional Manager for Western Spirits Beverage Company, educated guests on Kentucky’s Bird Dog Small Batch Bourbon Whiskey and Calumet Farm Small Batch Bourbon, who then took part in creating their own cocktail creations via flavor stations. 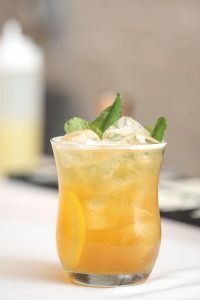 Expressions of both whiskies were also featured in signature cocktails and paired with Sin’s baked goods. 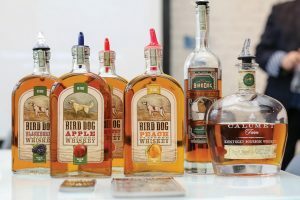 Bird Dog Whiskey in Blackberry, Apple, Grapefruit and Peach flavors; Bird Dog Small Batch Bourbon Whiskey; and Calumet Farm Kentucky Bourbon Whiskey. 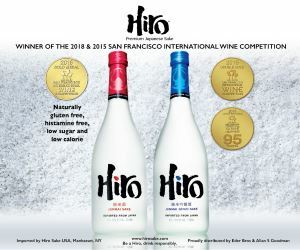 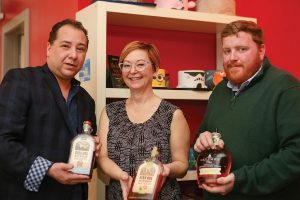 Peter Choy, Regional Manager – CT, MA, NY, RI, Western Spirits Company; Jennifer Luxmoore, Owner, Sin; and Philip Correia, Sales Representative, MS Walker. 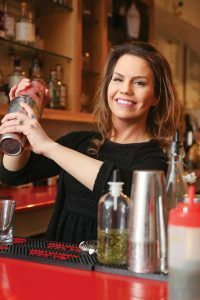 Alyssa Fenner, Bar Manager/Director/Bartender, Sin shaking up a signature cocktail during the event. 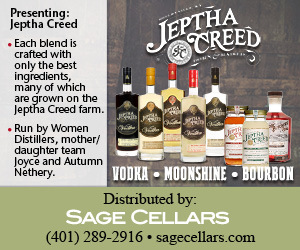 Peter Choy, Regional Manager – CT, MA, NY, RI, Western Spirits Beverage Company. 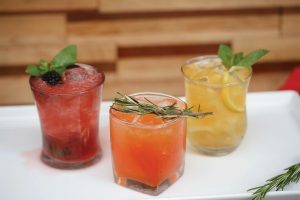 Guests enjoyed signature cocktails, including the Peach Summer Tea Cocktail, the Blackberry Julep and a grapefruit cocktail featuring Bird Dog’s Ruby Red Grapefruit Whiskey. 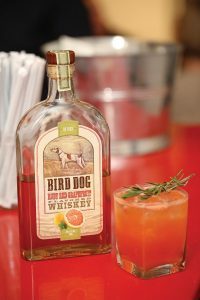 A showcased cocktail featuring Bird Dog’s Ruby Red Grapefruit Whiskey. A Blackberry Julep cocktail featuring Bird Dog Small Batch Bourbon Whiskey and Bird Dog Blackberry Whiskey. 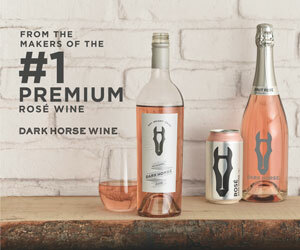 Peach Summer Tea cocktail featuring Bird Dog Peach Whiskey. 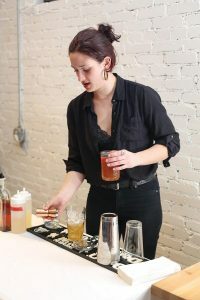 Kaitlyn Devlin, Staff Member, Sin giving a demo at the event’s peach cocktail station. 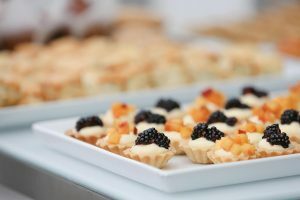 Small pastries were created to be paired with Bird Dog flavored whiskey expressions, as they share flavors of blackberries and peaches.